My Online Kitchen-Indian Veggies: அக்ஷய த்ரிதிய நல்வாழ்த்துகள் :) ---Happy Akshaya Thrithiya! அக்ஷய த்ரிதிய நல்வாழ்த்துகள் :) ---Happy Akshaya Thrithiya! 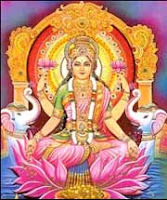 Akshaya Tritiya falls on the third day (Tritiya) of the new moon of Vaishakh month. This is one of the most auspicious days according to the Hindu calendar. According to the Puranas, this day marks the beginning of the Treta Yug. The birthday of Parashurama, the sixth incarnation of Vishnu falls on this day. It is believed that by doing a good deed on Akshaya Tritiya one can earn Punya (merit) for life. This day is considered auspicious for starting new ventures and making new purchases. starting new ventures and new purchases on Akshaya Tritiya is auspicious/ beneficial/ recommended. Pl cull out any dictum for my comments.